This center piece is an amazing gift for someone I have one on my table at home and it a real great conversation piece. It's 3/16" plate steel fully welded and powder coated for a long lasting finish. All battery operated tea lights are and glass holders are included. 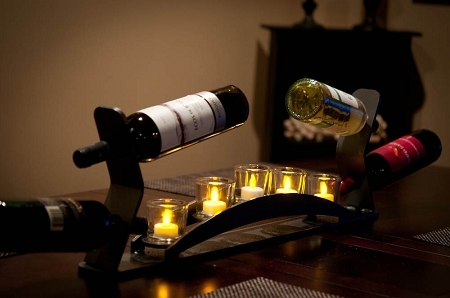 We went with battery tea lights so you don't heat up that wonderful wine as you eat.